For over forty-years, I have inspired, and helped people achieve their maximum potential. As a motivational speaker and best-selling author, I have provided my audiences and readers with powerful words and thoughts to help them transform their lives. I know that sometimes the simplest words can make a major difference in people perceive their world. Change Your Life! : A Little Book of Big Ideas is like that. 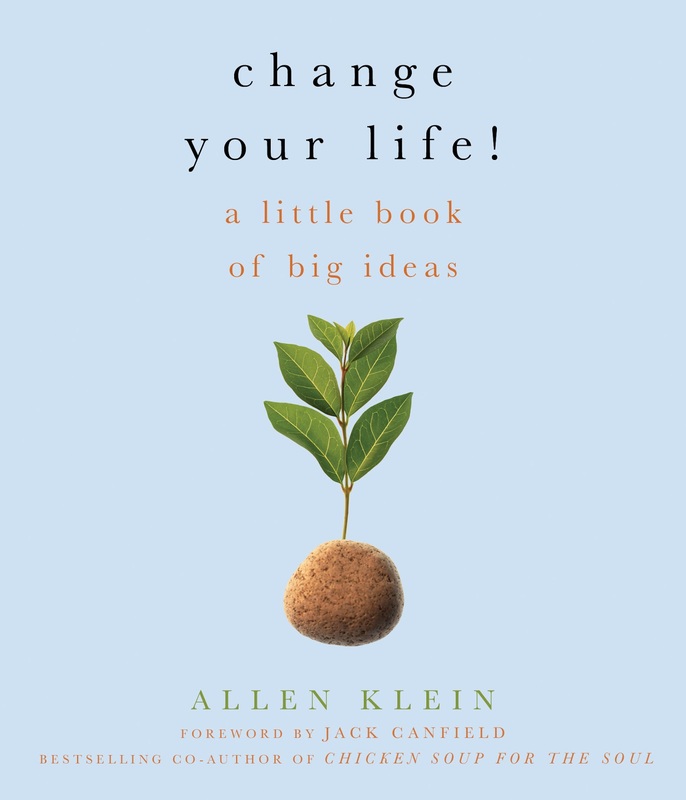 With a collection of simple yet profound ideas, this little volume of BIG ideas can change your life. It is written by Allen Klein, who is also a motivational speaker and best-selling author, He has artfully collected wise words from sages throughout the ages. Quotations that will make your heart sing, and, thoughts that will bring focus and perspective to your life. One of the fun things you can do with this wonderful book is to open it to any page and read one of the quotations. Those words might just be what you need to hear that day. Or, share this book with someone else. Someone who perhaps is celebrating a special occasion, like a graduation, birthday, anniversary, or, better yet, give them this book for no reason at all. Your random act of kindness will enrich their life and deepen yours through the simple act of giving. In addition, you can search the table of contents to find encouraging thoughts on a subject with which you might be struggling, such as, taking the first step, overcoming obstacles, or gathering your courage. How you make use of this book really doesn’t matter. What does matter is that you use it. I know it will enrich your life and provide you with big ideas that can make a big difference in your life. could create the best Christmas decorations? high honors with their distinctive sign, "Christmas is a good time to look up old friends." If you were to open a Starbucks in the lobby of a funeral home, what would you call it?